In my last post I promised a DIY of the black and copper pin board canvas I created for my birthday. It makes for a unique addition to a room, and you can choose the colour of the canvas and pins to compliment that room. 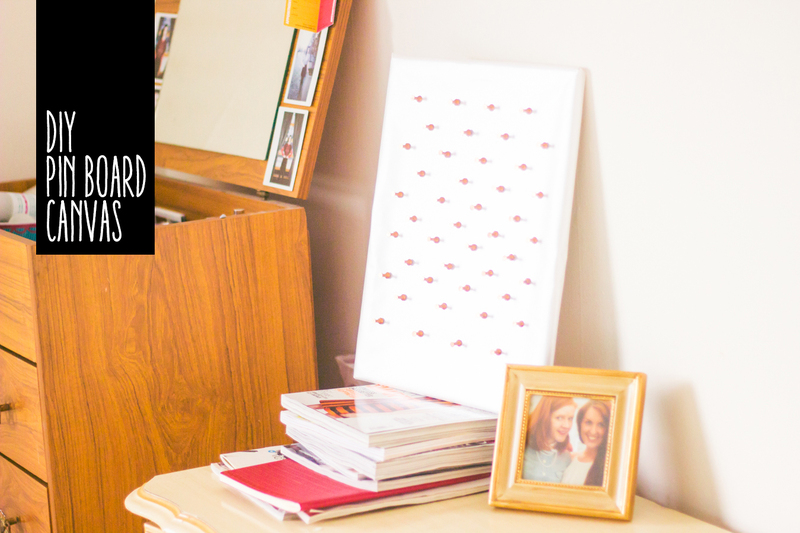 So here it is: How to make your own Pin Board Canvas. A large sheet of coloured paper - This is what the canvas will be covered in so choose wisely. I chose a slightly shiny white paper. Pins - A lot of them. 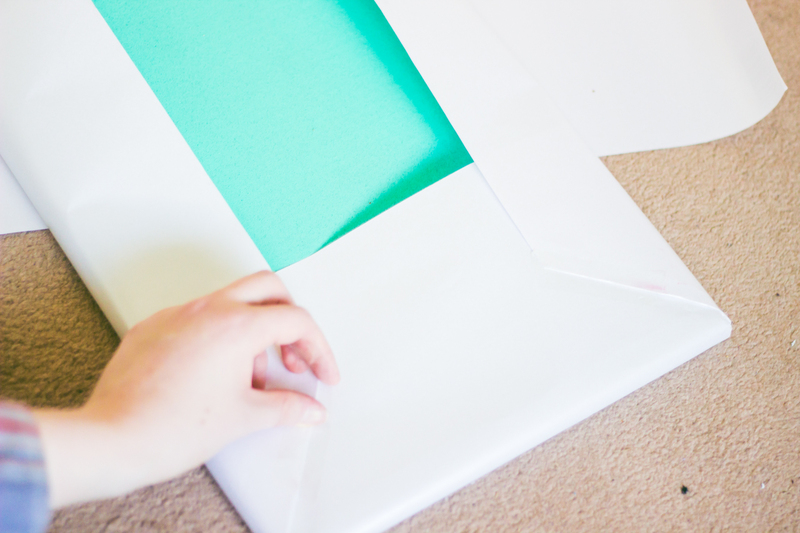 Cover the canvas in the paper, using the tape to secure the paper on the side that won't be seen. It's just like wrapping a present, just make sure that one side is completely seemless and all the taping is kept to what will be the unseen back of the piece. 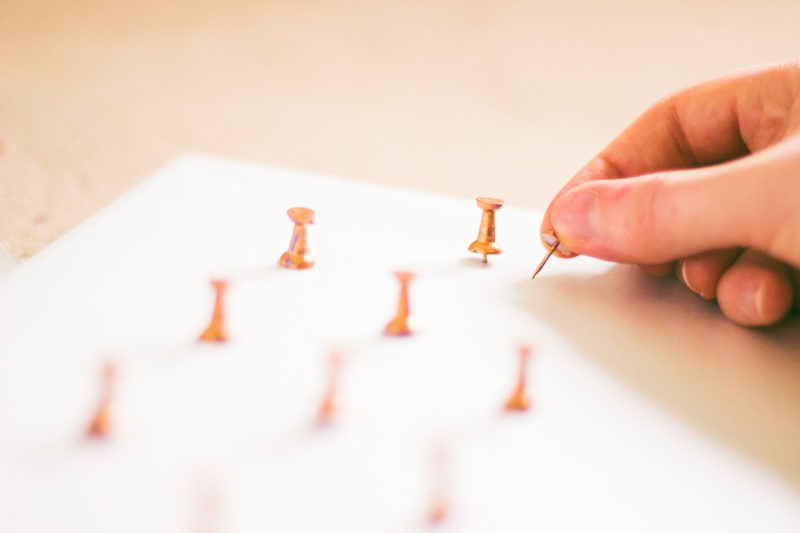 Paint the pins with the paint you've chosen. Let them dry (it will take them a couple of hours to completely dry). Of course, you can skip this step if your pins are already the desired colour for your final piece. 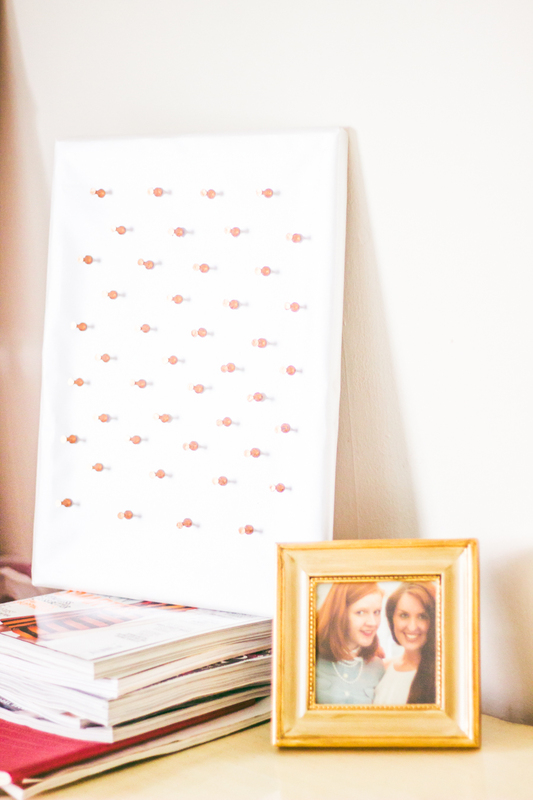 Now the fun part: Push the pins into the corkboard in your desired design. 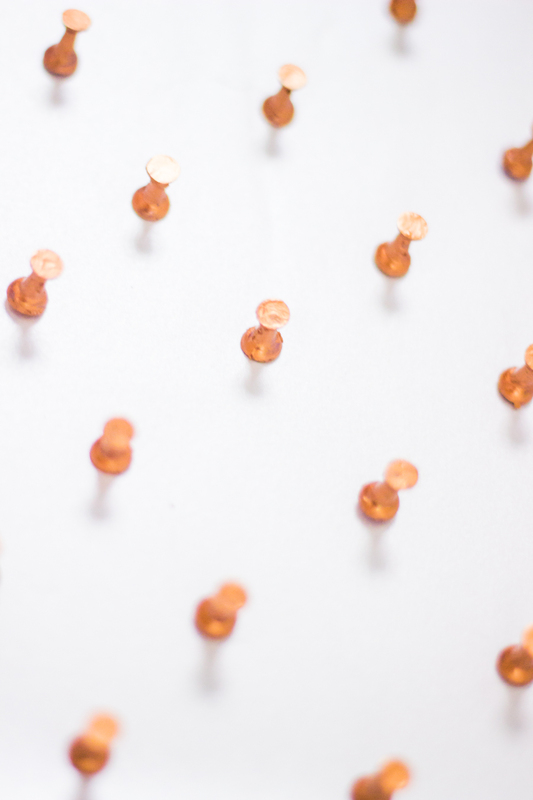 If you're a perfectionist you might like to lightly mark where the pins will go before placing them. Otherwise, dive right in and add the pins, that's what I did! And there you have it! 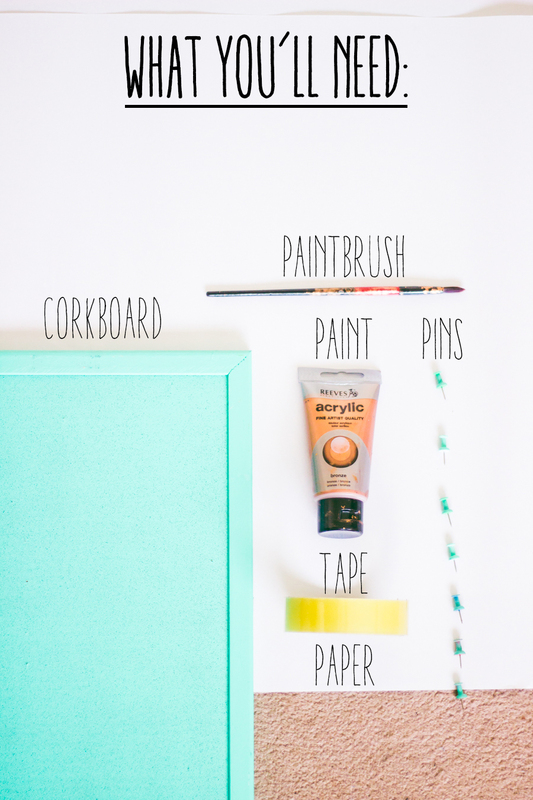 Three steps to create a unique canvas for your home. Oh, and I haven't even told you the best part about it yet. 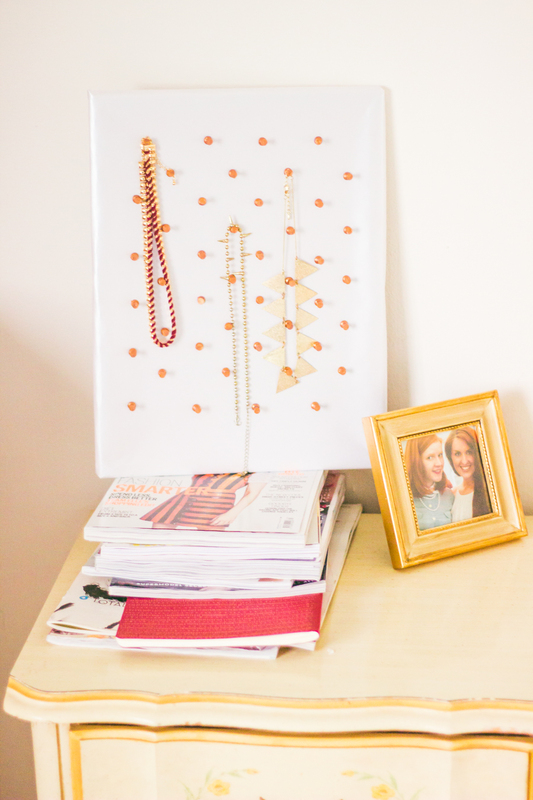 The pin board canvas is perfect for hanging jewellery! Simply choose your most pretty necklaces, bracelets, and rings, and hang them from the pins on display. It looks great and means that your favourite necklaces aren't getting tangled in your jewellery box. Hope you enjoyed this DIY! 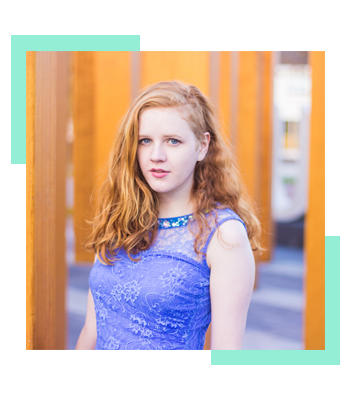 I'll be doing simple DIYs every so often here on the blog, so do follow me on Bloglovin' and I'll see you in my next post! This is adorable! I don't have anywhere to put my necklaces and most jewelry stands are too small so I'm going to do this! What a great DIY, Claire. It looks so gorgeous, and I agree that it's the perfect little canvas to hang up jewellery! I'll have to make myself one of this ASAP because my necklaces are just strewn all over my room, haha. This looks so great and it's so easy! Thanks for sharing! I love how this has turned out - so simple yet chic! Lovely but simple diy! 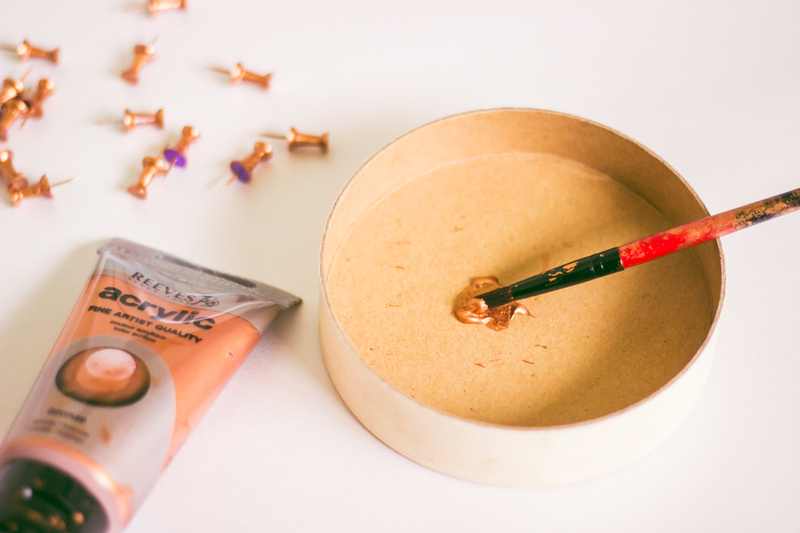 I love that you painted the pins into a shiny copper!